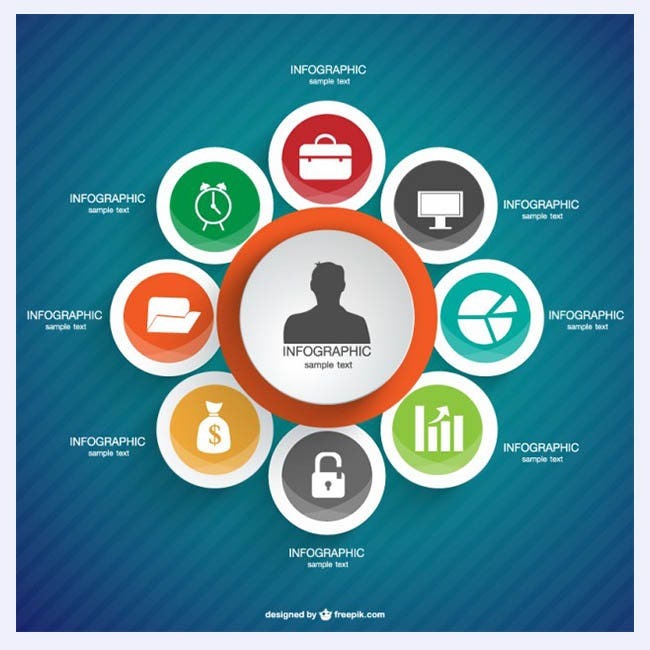 If you want quick access when it comes to information, a pictorial description always helps. 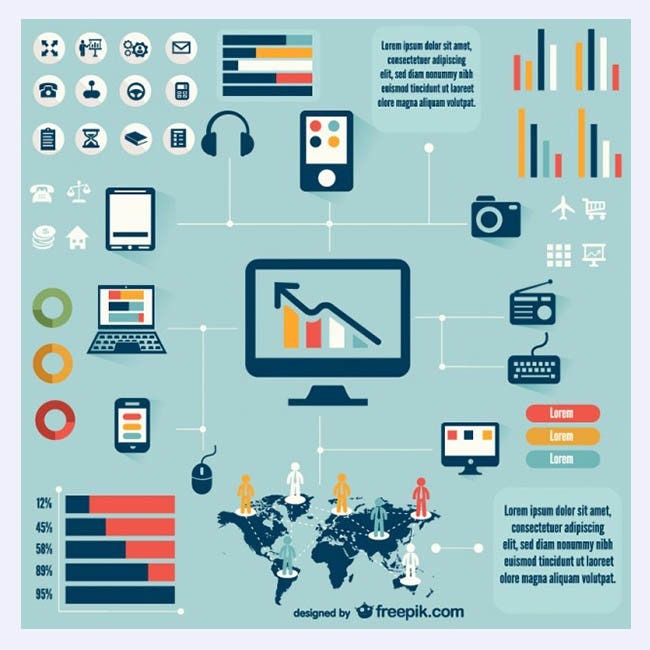 Showing complex data with the help of relevant illustrations will help the viewer to understand the data quickly and efficiently. 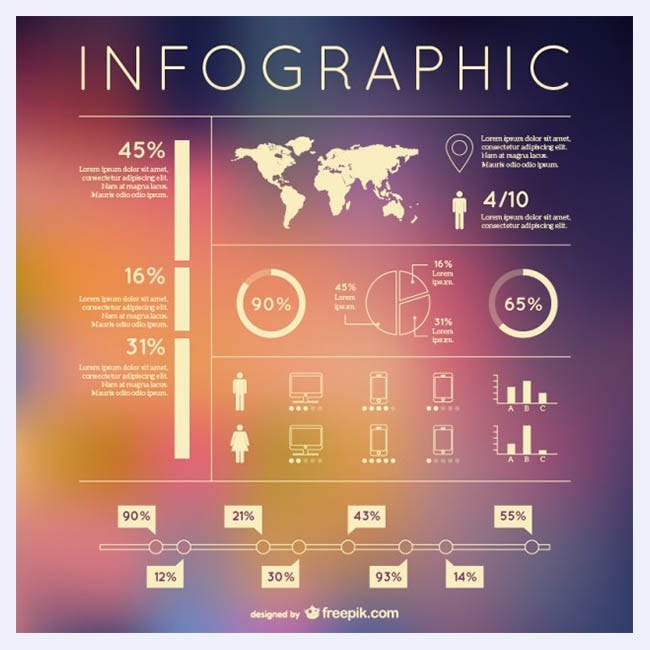 Infographic is one such basis of representation. 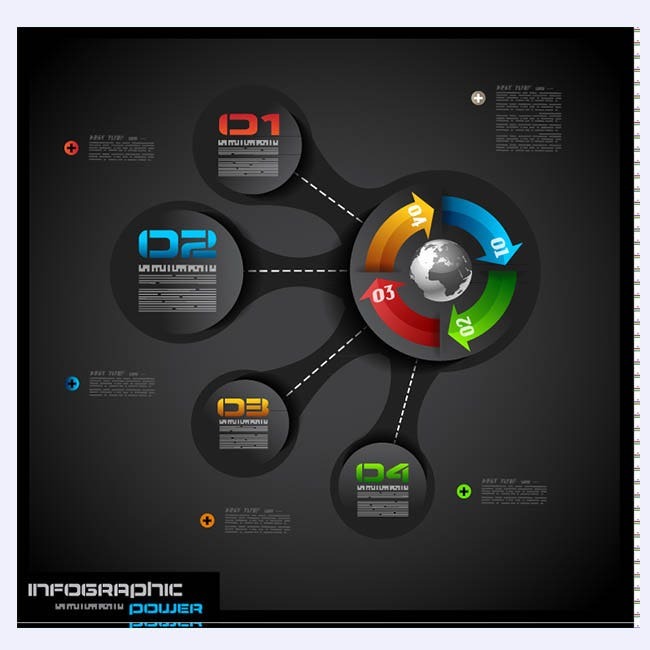 It contains a series of diagrams matching the actual data which helps viewers to efficiently understand the matter without any hassles. 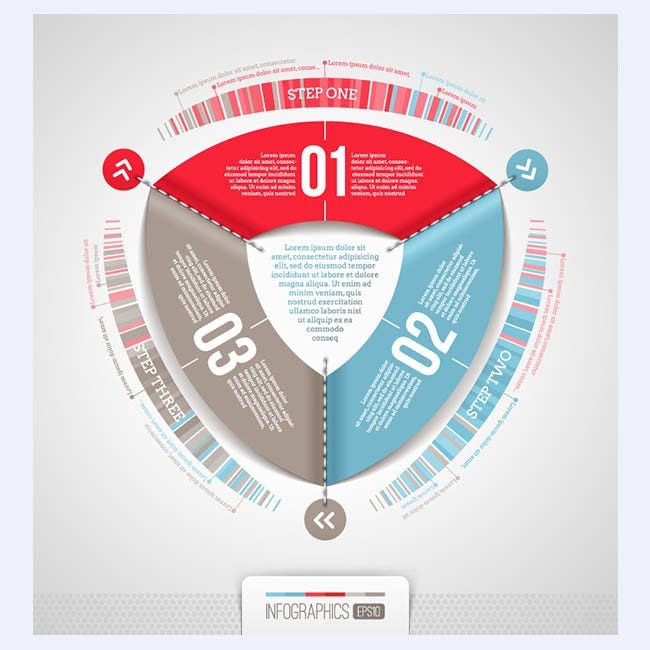 Over the years the design of Infographics have changed and improved. 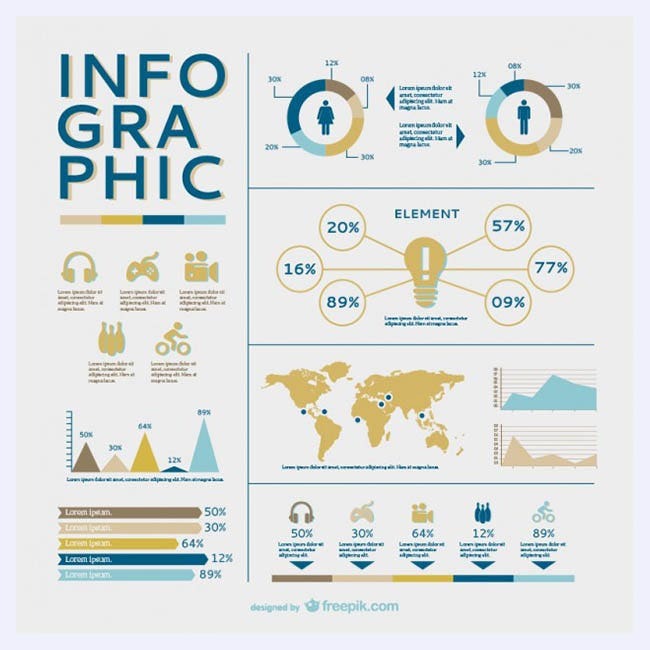 Designers have added newer elements to the Infographs which has made them even more common and understandable in today’s world. 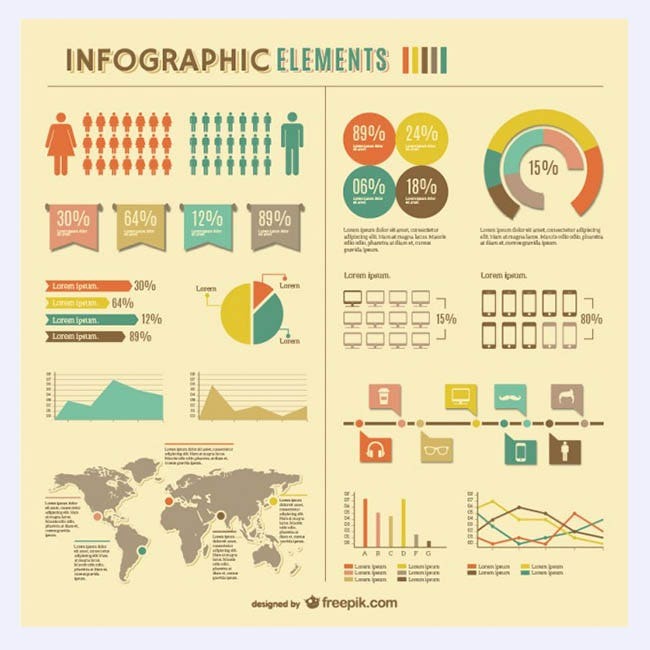 Infographic elements are very helpful to show any kind of data to the general population. 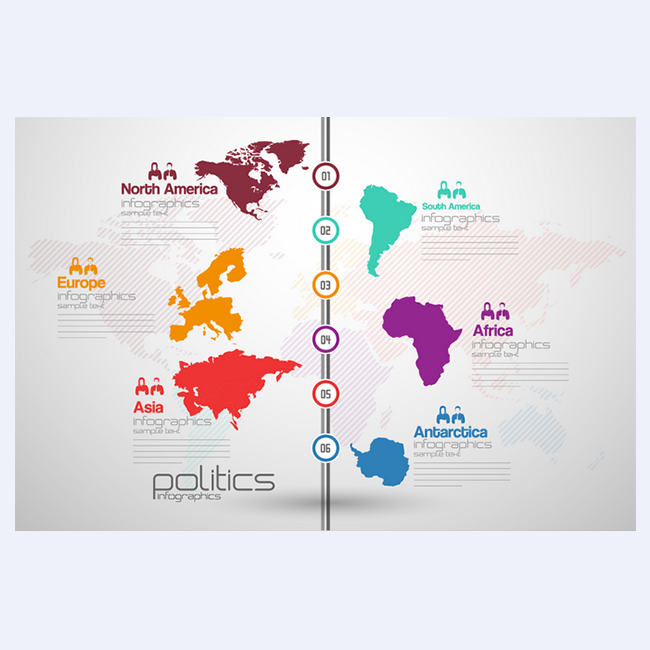 This set of free infographic elements can be used for politics since it has a map of all of the continents. It also has a space to write what you need about the locations. 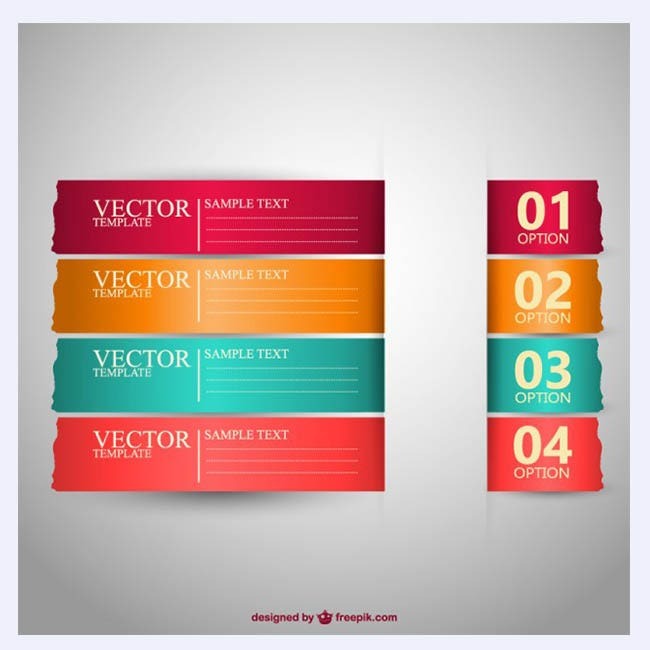 This option allows you to have different subsections of text in colored boxes. 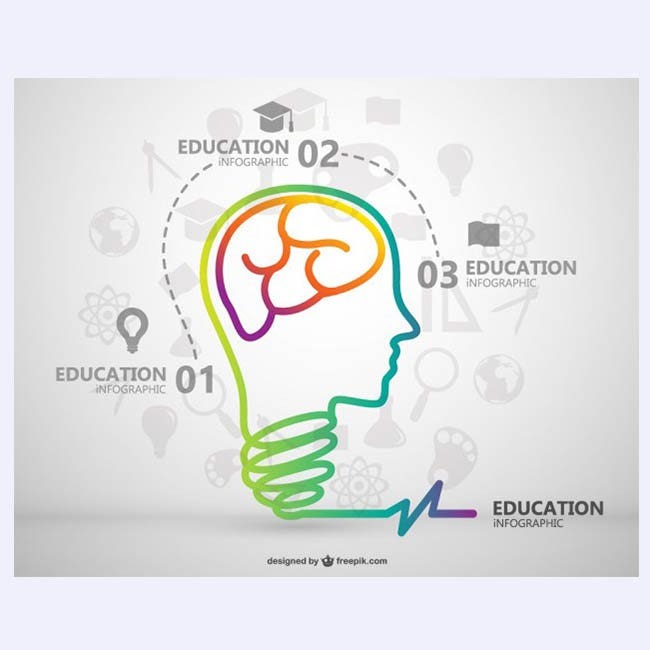 You can also choose from various images to give the user an easy way to figure out the topic. 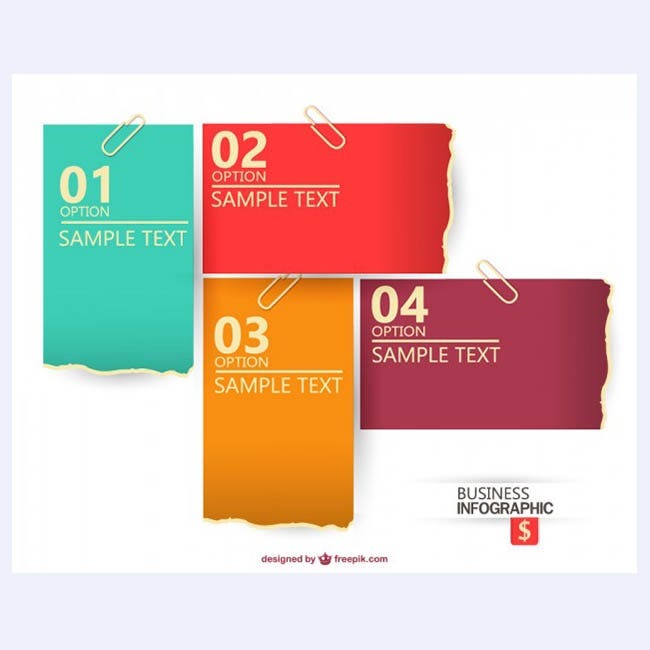 If you are into business, then you want this set since it deals with everything that you would need. It has computer, money, security, report and other various icons that you can use. 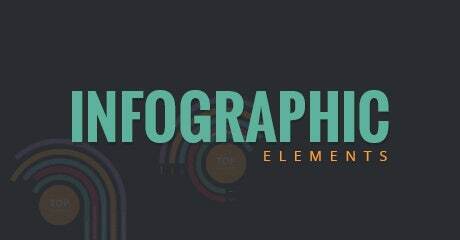 If you are going to list various items, then this free infographic element is perfect. It has huge numbers on the left side and then the text is in the right side of the block. 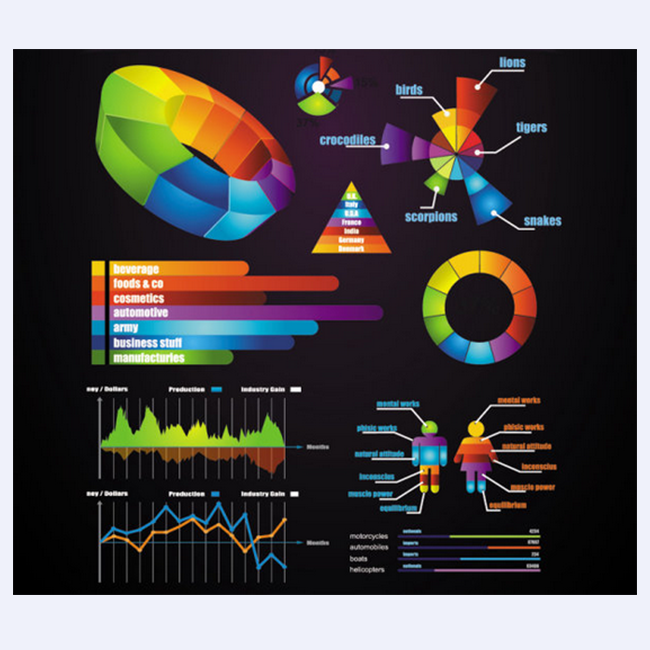 This is a colorful design that you can use for anything, especially if you are using various types of graphs. 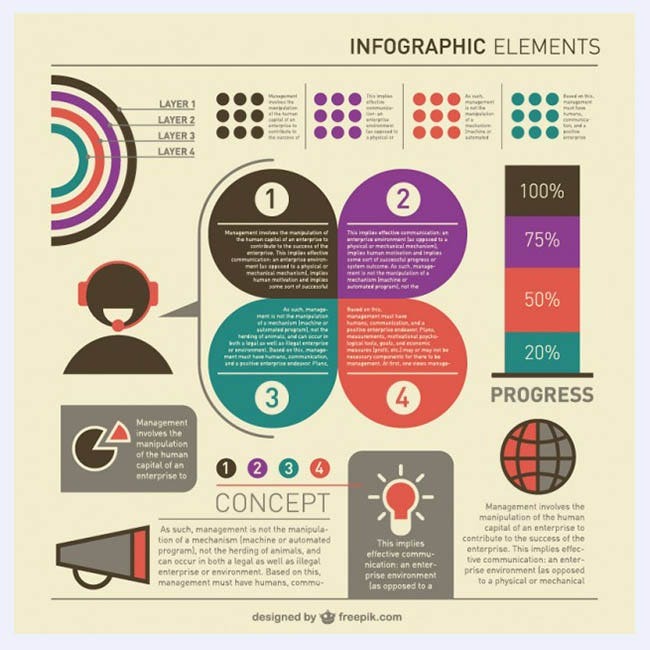 It is easy to read and simple to understand with the various icons and text. If you want to show various different items coming out of the computer, including your ideas, then this is great. There are 4 columns that are linked to the computer that are brightly colored with logos. 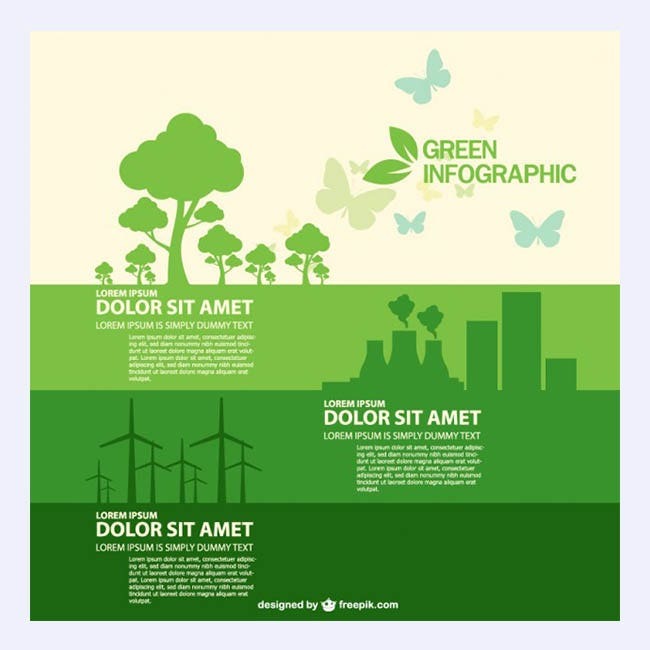 For those Ecology based companies, this is the best free infographic element that they can use. 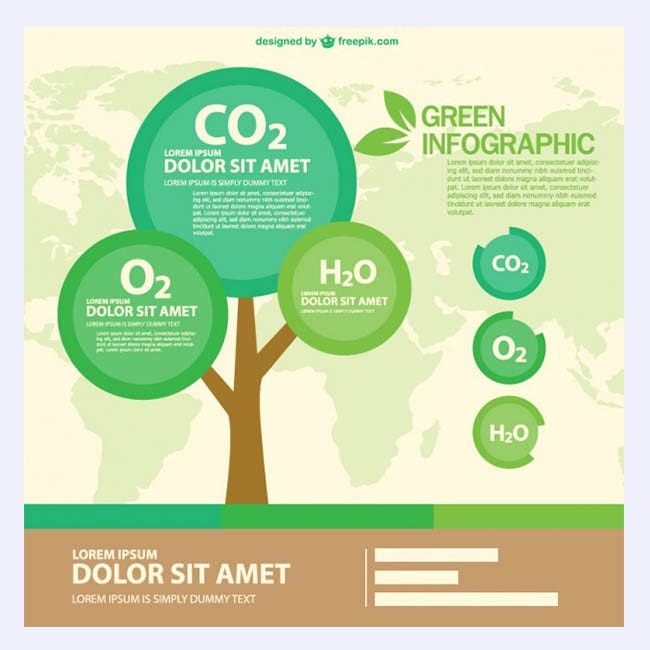 It has various ecological images, including butterflies, trees, windmills and much more in a green design. If you don’t want to use a lot of text, then this is your option. 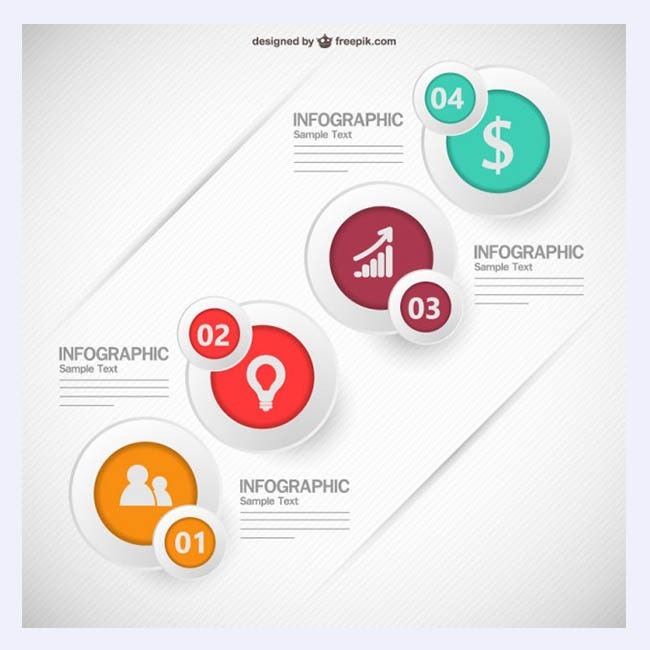 There are plenty of graphs that you can use in this design, including of people and maps. 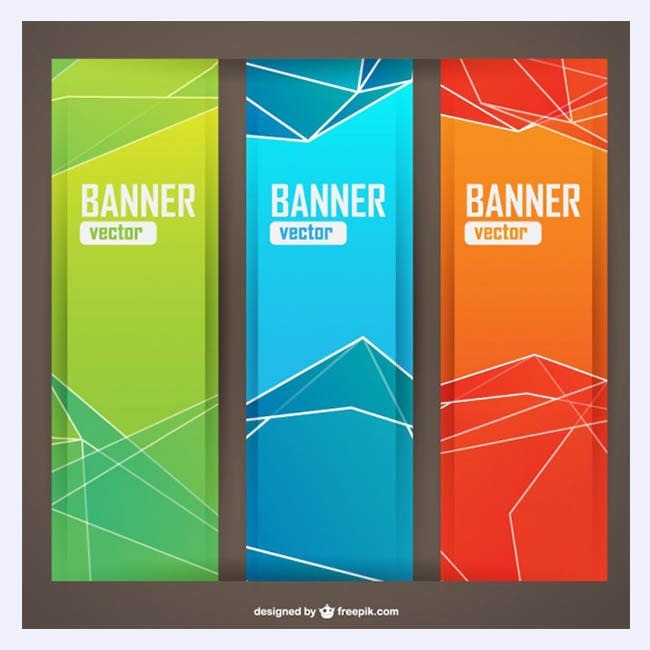 This option has 3 banners that are brightly colored and can be used for creating gorgeous banners for all uses. 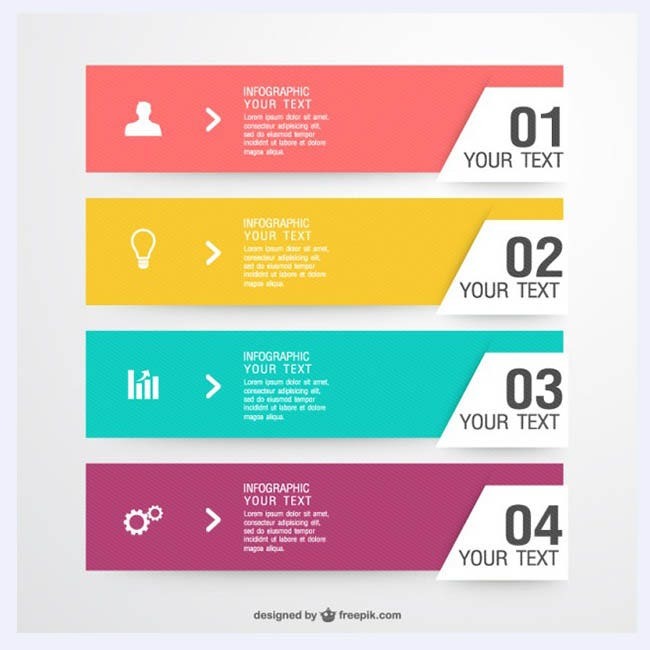 Not only can you use these to highlight various topics, but you can also use them to draw attention to specific areas. For those who want a bit more laid-back design, then this is it. These labels look like they are being held up by a paper clip and that they have been ripped off at one end in various colors. 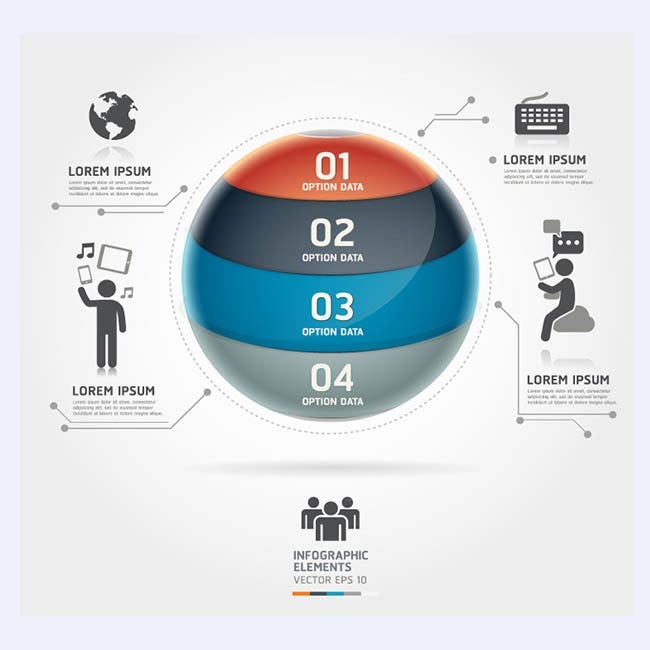 This free infographic element is simple and it has 4 circles with different images inside. They have a location for text on one of the sides and it is great for those who want to make things easy to read. This is another option that is laid-back and it also has banners that are ripped on one side. There are small and large options depending on your needs in different colors. For those who are writing about technology, then this is a great option. 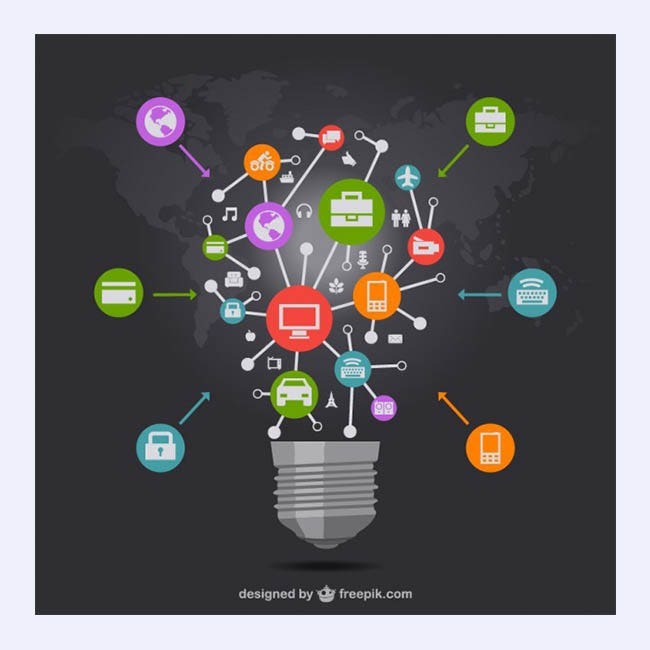 There are various technology based icons that you can use, including mobile phones, computers and more. 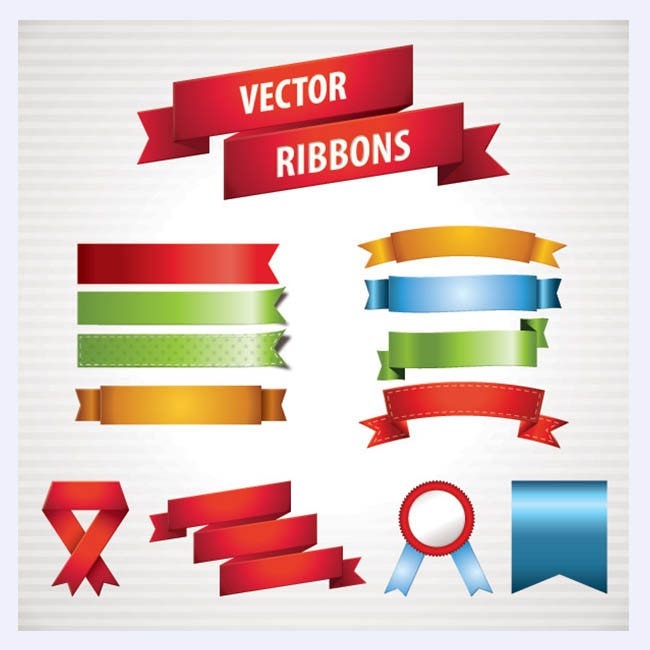 If you want simple icons, then this is for you. 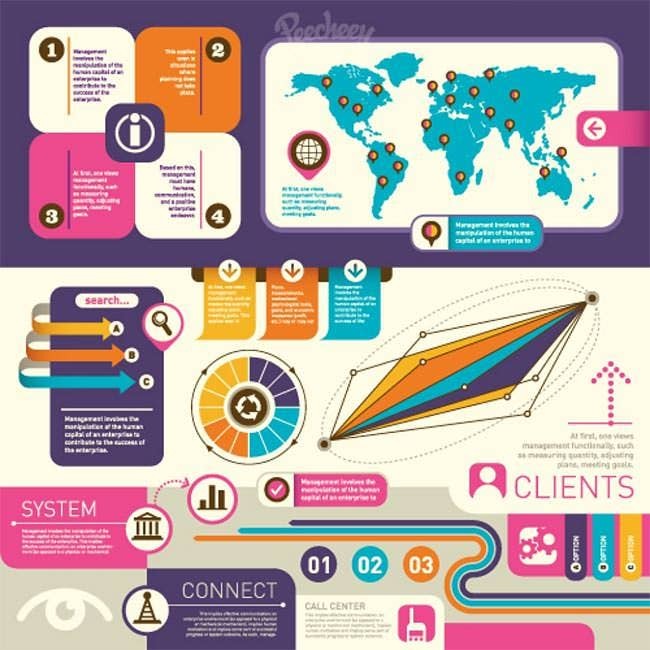 The icons here start from the outside and then go in based on the larger topics, including money, travel, connectivity and more. This is a great option for those who want a bit of simple, yet elegance. 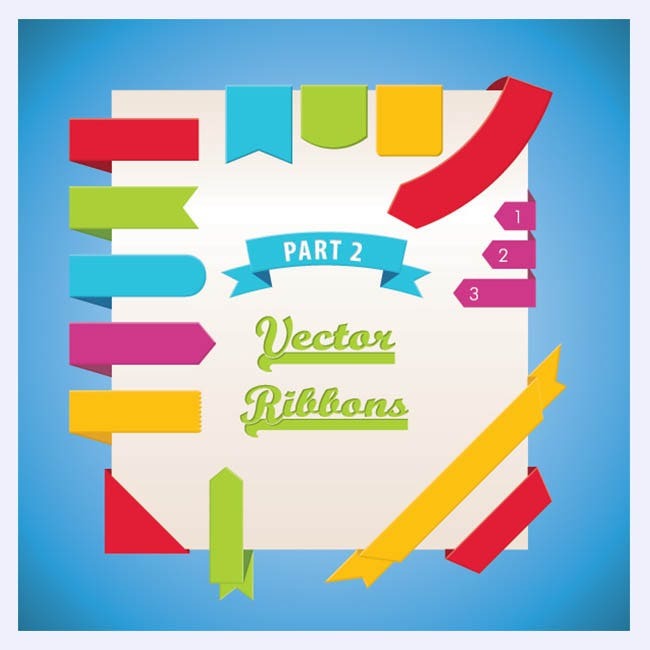 You can show the progress of various projects with a colored graph with a key to make it easy. 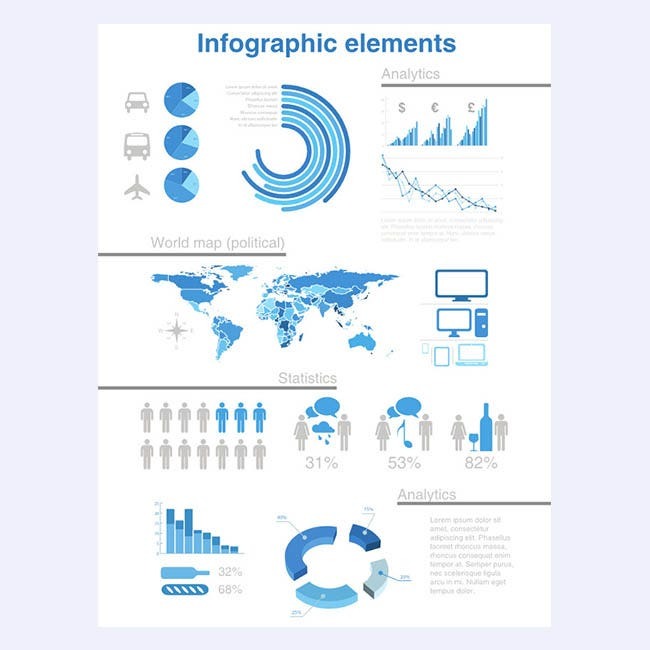 The Free Vector Infographic Design Elements template is widely used for creating infographics that can provide details about a particular industry, region, geographical area, or a domain. 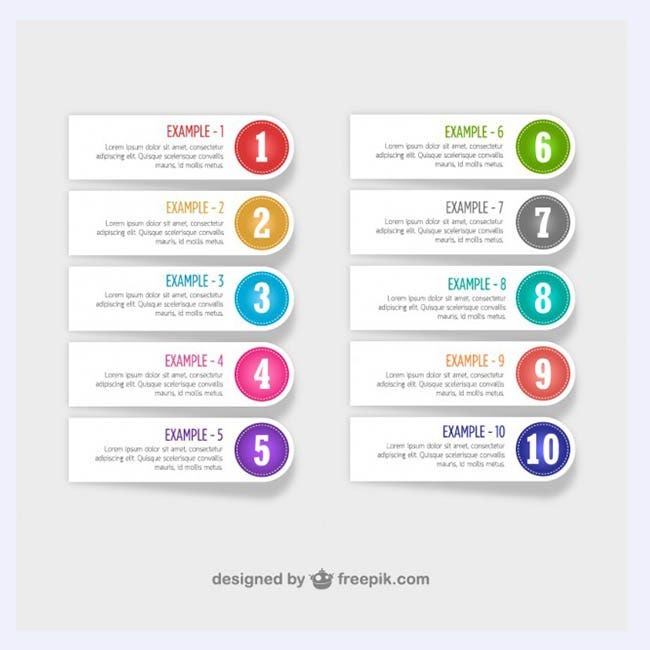 You can download these templates and modify them as per your requirements to create a greater impact. 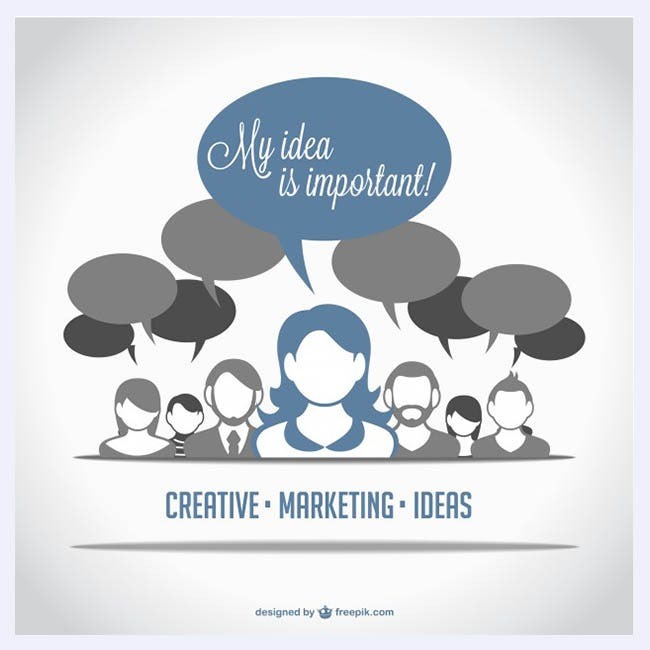 These are extremely useful when it comes to projects or presentations. 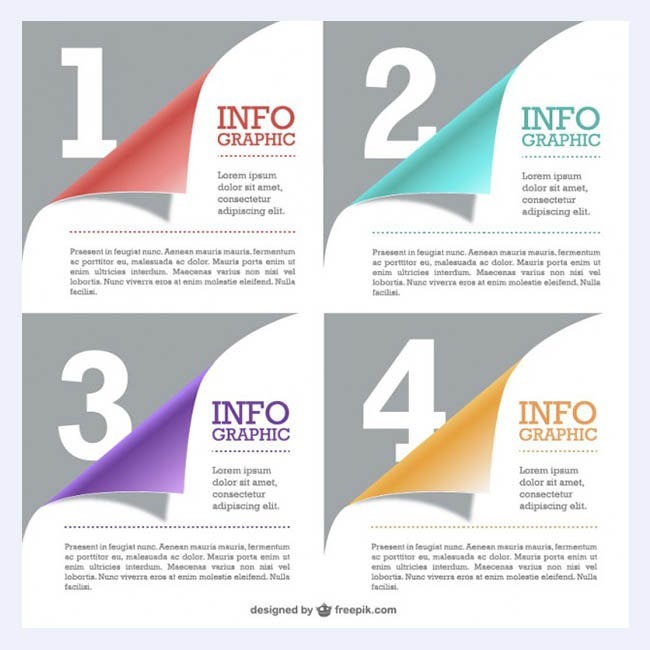 You can get numerous free Infographics templates online. They come in a myriad of varieties which will suit your every need. They are very easy to use. Just add the values and these elements do the rest. 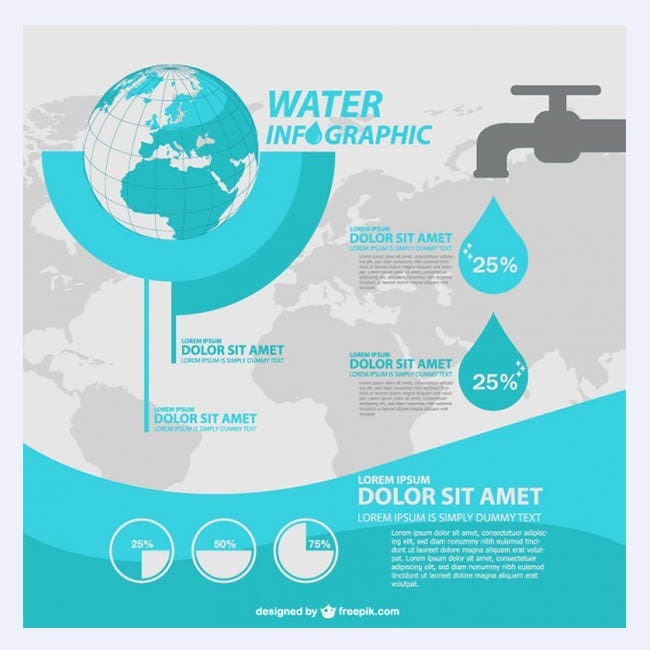 The variety of Infographic Templates you will find online is mind boggling, each with their unique style and colour tone. They are all customizable so you can change them to your preferences. 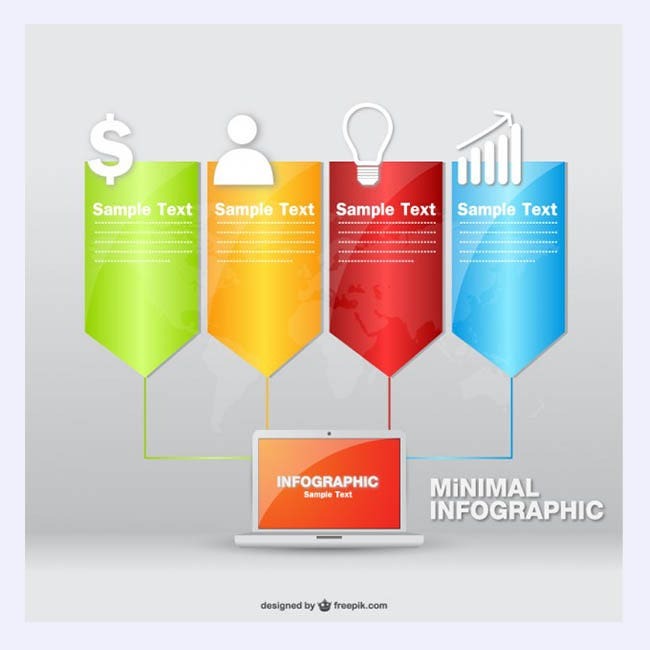 Try out these best free Infographic elements today and make the presentation which will turn heads. 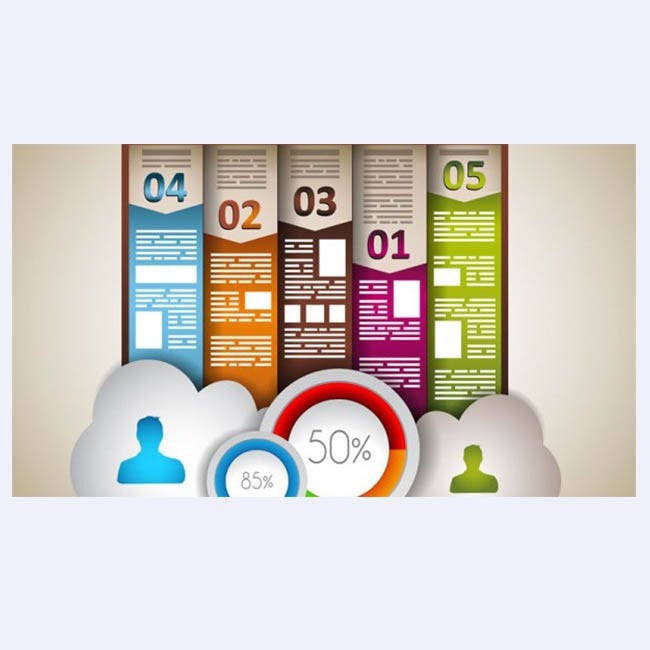 When you are writing reports, why write more text than you need to? 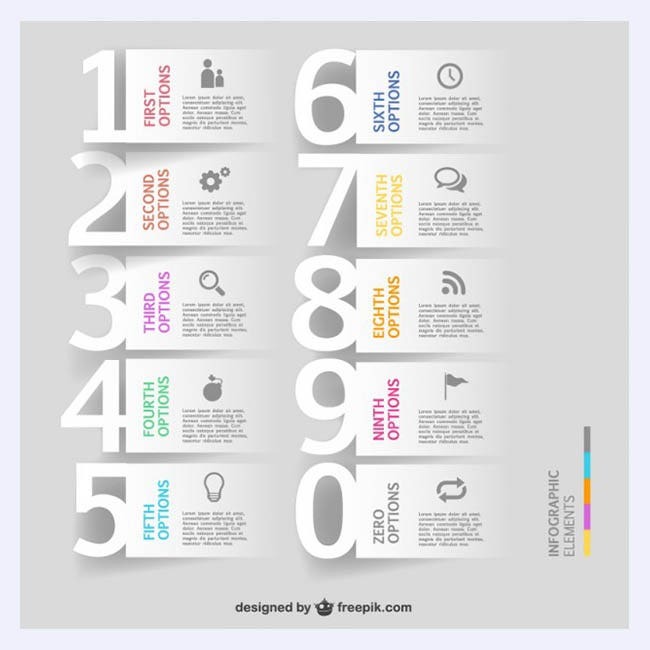 The same goes for your website and these icons can help had a bit of elegance, class, and color to your site.